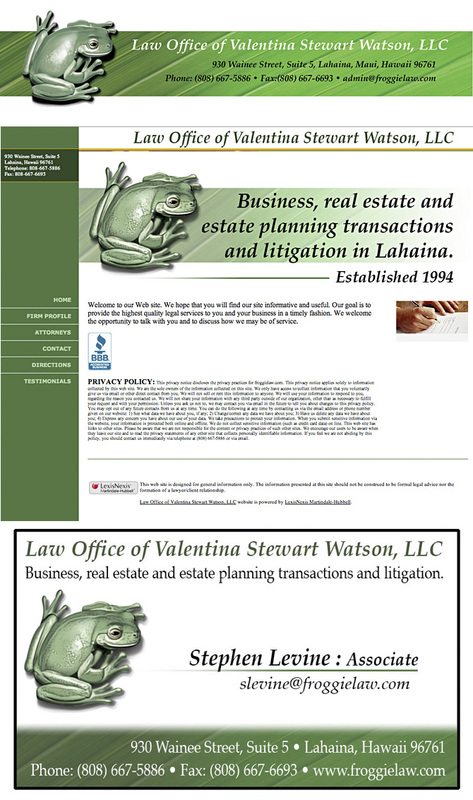 Out of the blue I was contacted by the amazing frog-loving, Hawaiian lawyer, Valentina Watson. Valentina asked if I could design her a new logo featuring of all things, … a frog. Of course I could, and I did!